We believe God has called us to serve the forgotten children of Guatemala. Within our home, we care for 40 children who were orphaned or abandoned, but there are many more children who need our help as well. What if we could prevent children from entering Guatemala’s orphanages? Although we can’t prevent all vulnerable children from entering orphanages, we can work with families to make a difference. Our short-term missions teams help us meet the immediate needs of families who face extreme poverty. Poverty causes stress, crisis, and trauma for families. Our goal is to offer immediate assistance and help preserve families who are facing a crisis, allowing them to remain whole and improve their lives. Working with the children in our home has taught us that many came from loving families who were overcome from a crisis situation. Our goal this year is to make our community projects even more personal and connected to long-term progress. Each of our teams will partner with a specific family. They will know their family’s story, their needs, and be able to pray for them before landing in Guatemala. This year we identified three new communities in need of our assistance. Great leaders in Santiago Sacatepéquez, Sanarate, and Cuilapa are helping us understand the needs of their communities and connect with families we can help. By working together, we provide help and resources, while the leaders nurture long-term relationships. With our help and the community support systems, these families have opportunities to change their lives. The families we help are “working poor.” In many households, between four and six family members survive on only $100 per month. Limited job opportunities in rural areas create a cycle of poverty. Many work on large vegetable farms six days a week, toiling in the hot sun to earn a meager income. Without money, these families cannot afford schooling, and without schooling, they can’t get better jobs. Although these families are still intact, they are often struggling. With such limited resources, both financially and otherwise, every other part of their family struggles. They have limited funds for secure homes, sufficient food, and school, let alone any extravagances. For many families, the choice must be made between sending their children to school or having them work to help provide additional income for the family. These families are faced with tough decisions every day just to survive. Already in 2018, five teams have worked in these villages. 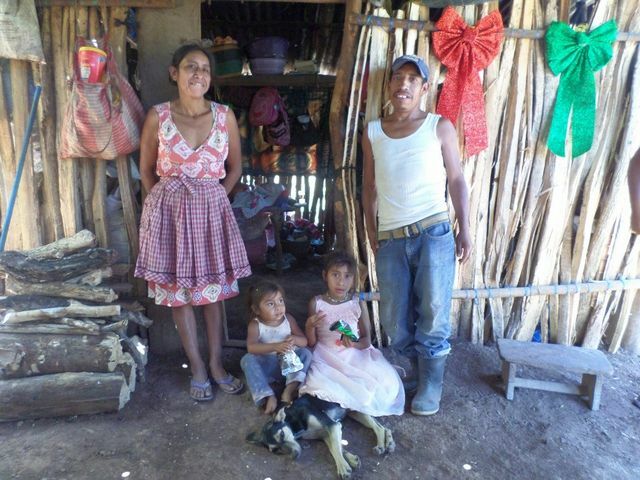 One family received a new house, while others received home repairs, concrete floors, and new stoves. Our Community Director, Bertha, is excited about the summer when even more families will be matched with our teams. Will you please pray for the families we will help, our teams, our staff, and community partners? Together, we can help these families and prevent their children from entering Guatemala’s orphanages. Interested in learning more about our short term missions? Click here.